Whatever the reason for your trip, business or leisure, we can provide you a perfect accommodation! 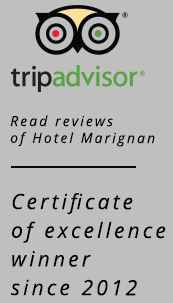 For more than thirty years, Hotel Marignan has welcomed guests from all over the world and prides itself on the diversity of its clients. We are a place where people meet and exchange ideas. We are in the Latin Quarter, the historical center of Paris, a 2 minute walk from the Sorbonne, 5 minute walk from Notre Dame, 15 minute walk from the Louvre and the Marais. Our main goal is for you to get the most for your money! With our long experience we know our clients. We have a strong sense of service and we know how to make your stay in Paris memorable. Many free services to make your stay easy and comfortable are at your disposal – free WIFI, an equipped kitchen, laundry, a library of touristic guides. And as always, fresh breakfast from our local suppliers. 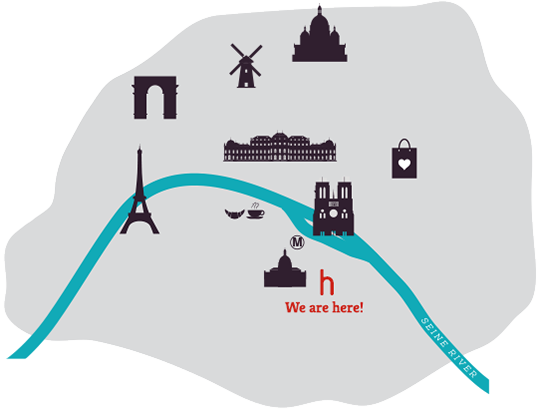 We know Paris and all the sites and events off the beaten track. 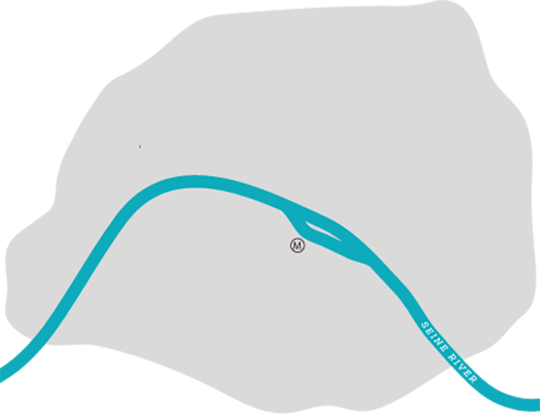 Museums, restaurants, bars, walks — whatever you are interested in we will be happy to give you our advice. But most of all because our greatest satisfaction is to make your stay unforgettable and to help you to explore this magical city of love !